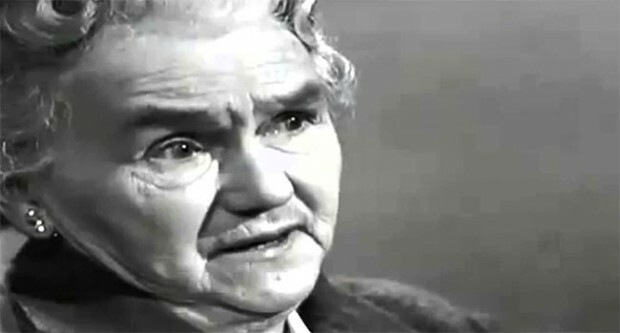 NORA CONNOLLY – a daughter of James Connolly – was born in Edinburgh, Scotland, in 1893. During the early 1900s, the Connolly family lived for a short time in America. It was there that Nora became politically active, her time divided between working at a millinery and attending outdoor labour movement meetings with her father. 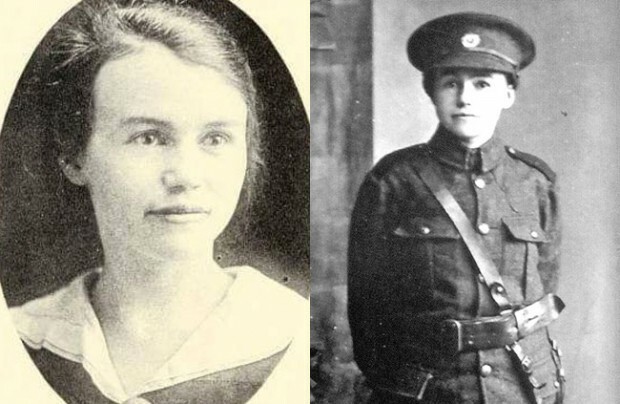 It was also during this time that James Connolly and Nora became acquainted with John Devoy and the American faction of the Irish Republican Brotherhood, Clan na Gael. With Nora as manager, James Connolly founded a journal entitled The Harp. Eventually, The Harp was also published in Dublin. In 1910 the family moved back to Ireland. James Connolly found work with the Irish Transport & General Workers’ Union in Belfast, and Nora found work in a Belfast clothing factory. In Belfast, Nora became increasingly politically active. She and her sisters joined Cumann na mBan and the Gaelic League. Nora also participated in her first strike while living in Belfast. The deplorable conditions of the factory and of the tenements where many of the workers lived, as well as the exploitation of the workers at the factory, horrified Nora. When the mill workers went on strike against new rules that forbade the workers to sing or to speak to each other, Nora was by their side. This strike was the forerunner to the Linen Strike of 1913, during which James Connolly delivered the manifesto of Irish Textile Workers’ Union. This was followed by a meeting of solidarity in Dublin at which he also spoke. After his speech, Connolly introduced Nora as the next speaker. Thus, during this time period, Nora also began her public speaking career. In 1914, while working for the ITGWU in Dublin, Nora took part in the Howth gun-running operation. In early 1916 she accompanied Liam Mellows from England after he had escaped from Reading Gaol. Following Mac Néill’s orders to cancel the Easter Rising, James Connolly dispatched Nora and the others to deliver the mobilisation order for Northern units. In preparation, she memorised the 1916 Proclamation so she could recite it to people in the North. Once the messages were delivered, Nora briefly remained to organise first aid corps. Nora Connolly was sure however, that whatever happened elsewhere, there would still be a fight in Dublin, so she returned with the other Cumann na mBan members. Thus, nine members of Cumann na mBan, organised under the command of 23-year-old Nora Connolly, became the only organised group to leave Ulster and take part in the Rising. On the last day of her journey, she arose at six o’clock in the morning and walked 15 miles in order to see her sister Ina. Only military trains were running from Dundalk, and the two sisters set out on foot to walk the 50 miles to Dublin. Within 18 miles of Dublin, they could hear the rebellion taking place. Soldiers, with artillery, heading north began to pass them. When they reached Drumcondra they heard the news of the surrender. By now the two sisters were suffering from blistered feet, dehydration and hunger. Mamma broke down and laid her head on the bed and sobbed heartbreakingly. “But your beautiful life, James. Your beautiful life,” she sobbed. “I won’t cry, Papa,” I said. After the Rising, Nora Connolly traveled to America, disguised as a priest, to inform Clann na Gael of the situation in Ireland. In late 1917 she returned to Ireland via England after an order barring her from Ireland had been issued. Nora worked for the ITGWU while campaigning for Sinn Féin in the 1918 general election. She married Seamus O’Brien in 1922 and, in 1923, when Margaret Skinnider was arrested, she became Paymaster-General of the IRA and was imprisoned by the Free State for the duration of the Civil War in Mountjoy Jail, the North Dublin Union and later Kilmainham. 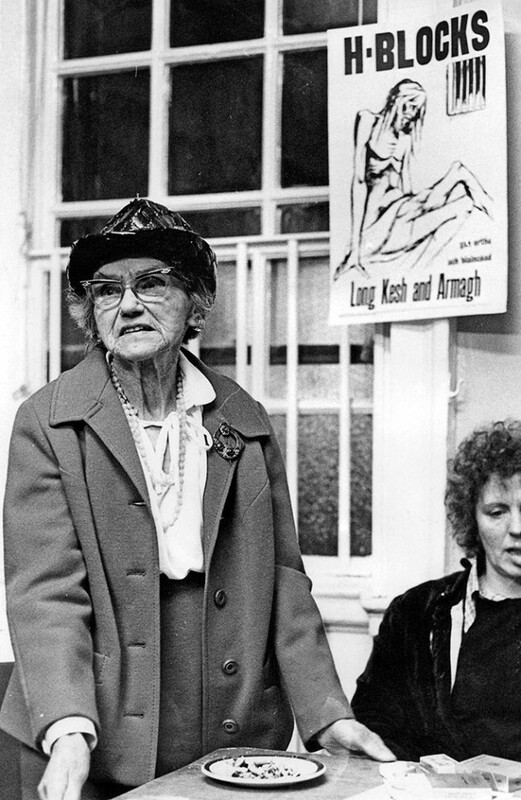 Nora Connolly O’Brien remained a lifelong socialist republican and was a strong supporter of the protesting prisoners in the H-Blocks of Long Kesh in the 1980s, speaking on platforms in their support. Nora Connolly O’Brien died in Dublin on 17 June 1981.